What Is A Jailbreak On An iPhone And Should I Perform One? Here's What You Need To Know. You are at:Home»iPhone»iOS»What Is A Jailbreak On An iPhone And Should I Perform One? Here’s What You Need To Know. You’re considering jailbreaking your iPhone and you want to learn more. 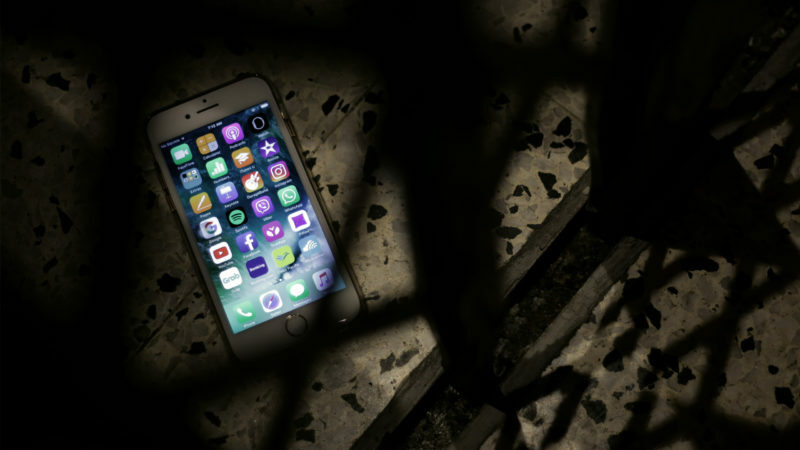 Jailbreaking an iPhone can be risky and usually the benefits don’t outweigh the potential consequences. In this article, I’ll tell you what it means to perform a jailbreak on an iPhone and explains why you probably shouldn’t do it. 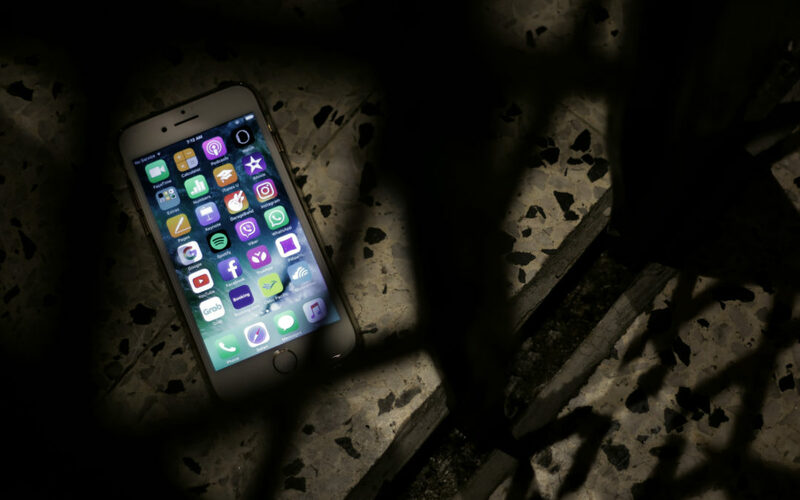 In simple terms, a jailbreak is when someone modifies their iPhone to remove the restrictions built into iOS, the operating system that runs on iPads, iPods, and iPhones. The term “jailbreak” comes from the idea that the iPhone user is breaking out of the “jail” of limitations forced upon them by Apple. Should I Jailbreak My iPhone? Ultimately, you have to decide whether or not you should jailbreak your iPhone. However, I want you to be informed of the benefits and the consequences if you do decide to go through with it. If you’re not an expert, I strongly recommend that you do not jailbreak your iPhone because the ramifications of doing so can be very costly. As I mentioned earlier, when you perform a jailbreak, your iPhone will no longer be bound to the restrictions of iOS. You’ll be able to download lots of new apps from an alternative app store known as Cydia. Many of the apps that you can download from Cydia allow you to customize your iPhone in ways only possible on a jailbroken iPhone. Cydia apps can change your icons, change your iPhone’s font, lock your apps, and change your default web browser to Chrome or Firefox. While these apps can be cool and can add a little bit of functionality to your iPhone, they can also be very dangerous. Many of the restrictions that Apple builds into iOS are there to protect you and your data from hackers — not just to restrict what you can do. 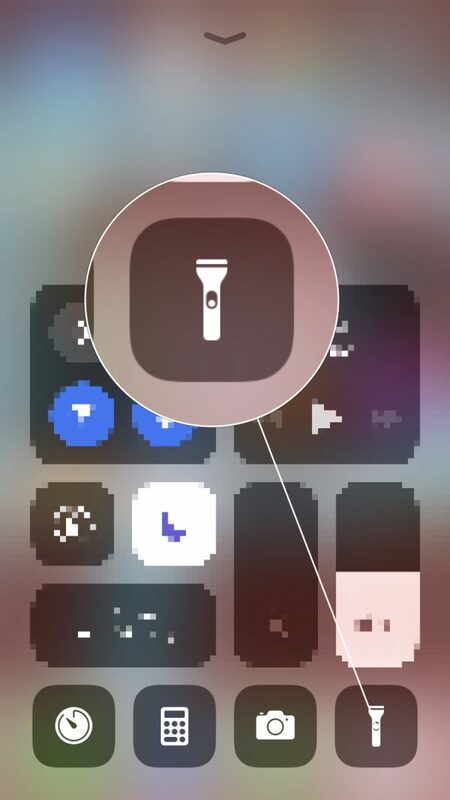 One example of Apple taking a popular Cydia app and integrating it into a regular iPhone is the flashlight in Control Center. iPhone users used to need a flashlight app in order to activate the light on the back of their iPhone, which were usually poorly-coded, drained battery life, and were full of ads. In response, the jailbreaking community found a way to make it much easier to turn on the light on the back of the iPhone by integrating it into a dropdown menu. Apple saw the popularity of the easily accessible flashlight, so they incorporated it into Control Center when they released iOS 7. Another example of Apple adapting a popular Cydia app into a standard iPhone feature was when they introduced Apple Night Shift with iOS 9.3. 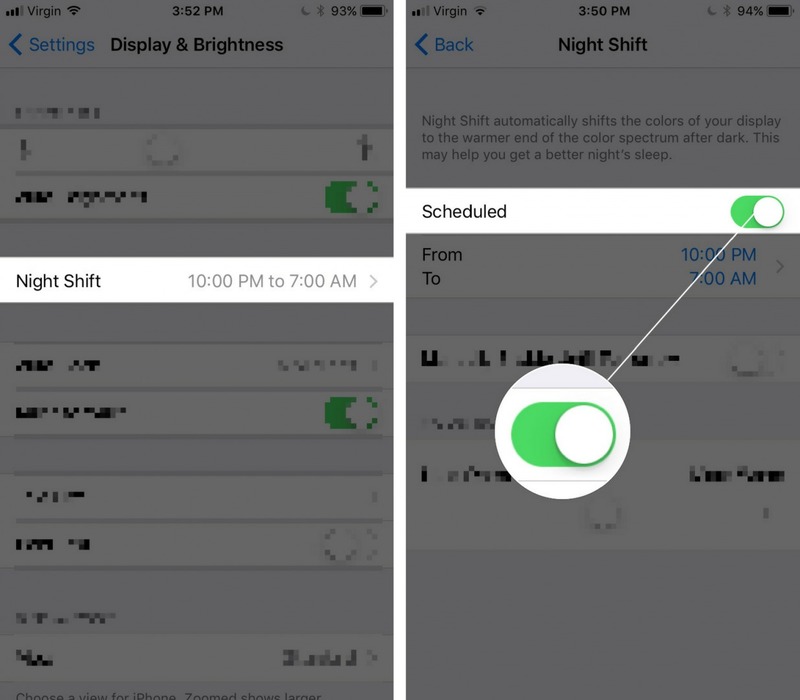 Apple Night Shift uses the clock of your iPhone to automatically change the colors on the display to filter out blue light, which has been shown to make it more difficult to fall asleep at night. Prior to iOS 9.3, the only way to adjust the color filter to remove blue light was to jailbreak your iPhone and install an app called Auxo. Pro tip: You can turn on Night Shift by going to Settings -> Display & Brightness -> Night Shift and tapping to switch next to either Scheduled or Manually Enable Until Tomorrow. With every major iOS update, there are fewer and fewer benefits to performing a jailbreak on an iPhone. Apple is in touch with its customer base and will often take the most popular features among jailbreakers and incorporate them into the iPhone in a safe and secure way. First, you should know that when you perform a jailbreak on an iPhone, the warranty for that iPhone is invalidated. An Apple Tech will not help you fix a jailbreak that goes wrong. To be fair, a DFU Restore can usually remove a jailbreak from your iPhone, but that’s not always a surefire fix. Former Apple tech David Payette informed me that Apple has a way of knowing whether an iPhone has ever been jailbroken, even after you do a DFU restore. I once worked with a woman whose grandson had jailbroken her iPhone 3GS. Even though he had DFU restored her phone back to original condition, an iOS update bricked all models of that phone that had ever been jailbroken. I DFU restored her iPhone again in the store, but it wouldn’t work. When I spoke to management, I was informed that even though an Apple update had bricked her iPhone, it wasn’t going to be covered under warranty because the phone had been jailbroken in the past. Jailbreaking can have long-term ramifications on your warranty, and on your pocketbook — so be careful. Another major reason why I recommend that you don’t jailbreak your iPhone is that you will be exposed to many bad apps and malware. Malware is software that is designed to intentionally damage the operating system of your iPhone. The App Store has very high standards for apps and safeguards that protect your iPhone from malware and viruses. The reason Apple puts every app inside what they call a “sandbox” is so that each app has limited access to the rest of your iPhone. 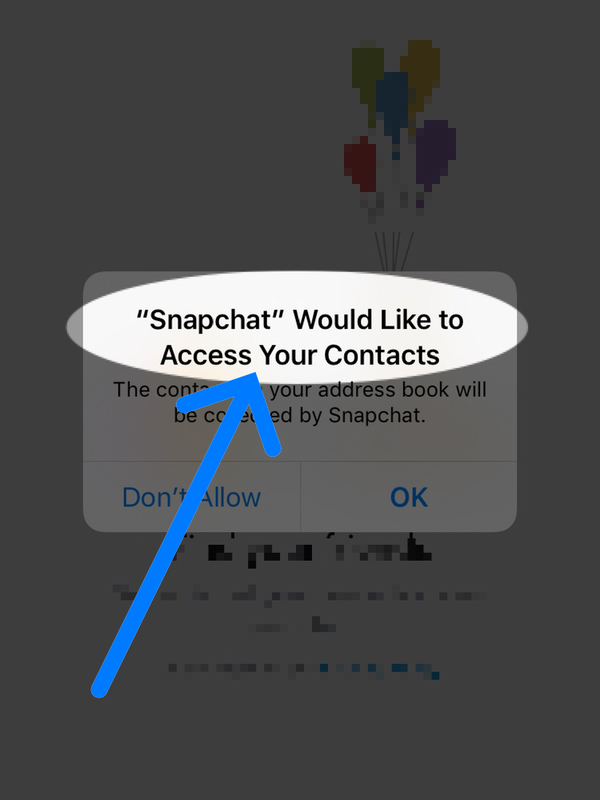 When you download an app from the App Store that needs to access other parts of your iPhone, you’ll be prompted with a message such as “This App Would Like To Access Your Contacts” so you can have the opportunity to selectively allow or deny access to your personal information. If you don’t hit OK, the app can’t access that information. Jailbreaking removes these restrictions, so an app from Cydia (the jailbreaker’s version of the App Store) may not prompt you with this message and steal your information without your permission. Jailbroken apps can record your phone calls, access your contacts, or send your photos to a far-away server. So, while Cydia will gives you access to many more apps, a lot of them are bad and could end up causing a lot of problems with your iPhone. Finally, if you have a jailbroken iPhone, you’ll run into problems any time Apple updates iOS. For every iOS update, there’s a corresponding jailbreak update. These jailbreak updates can take weeks or even months to catch up with iOS updates, which leaves your iPhone with an outdated operating system. Is It Legal To Jailbreak My iPhone? The legality of performing a jailbreak on an iPhone is a bit of a gray area. Technically, it’s not illegal to jailbreak your iPhone, but Apple strongly discourages iPhone users from doing so. Furthermore, jailbreaking your iPhone is a violation of the terms of the user agreement you agreed to in order to use the iPhone. As I mentioned early, this means that an Apple employee probably won’t fix an iPhone that has been jailbroken. However, some of the apps you can download from Cydia do enable you to do illegal things on your iPhone. This includes apps that will let you steal music, movies, or other media. So, if you do decide to jailbreak your iPhone, be careful about which Cydia apps you download. The wrong apps could get you into legal trouble! Unless you have a spare iPhone to play around with, don’t jailbreak your iPhone. When you perform a jailbreak on an iPhone, you’re adding a tiny bit of functionality at the risk of doing serious harm to your iPhone — your wallet. Thanks for taking the time to read this article, and we hope you’ll share it on social media with your friends and family! Previous ArticleThe Case Against Rubber iPhone Cases: Conspiracy? You Decide. Next Article Apps Stuck Loading On iPhone Or Waiting: The Real Fix For Updating Apps!